Thaipusam is a religious festival celebrated by the Tamil community in India and by the Tamil diaspora worldwide. 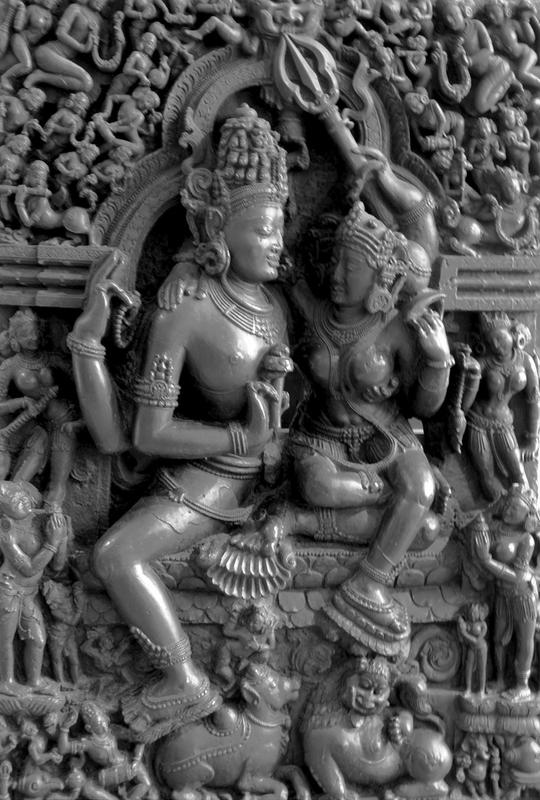 The festival commemorates the occasion when Parvati, the Indian goddess of fertility and love, gave her son Murugan, the god of war, a spear in order to defeat a fiendish demon. The festival thus celebrates the victory of good over evil, light over darkness, and wisdom over ignorance. Devotees pray to Murugan in order to overcome the obstacles they face in life. To outsiders, the Thaipusam is a gruesome spectacle. The people who participate in the festivities perform the kavadi aattam, the “burden dance,” in which they bring offerings to their god. In the most basic version, they carry a pot of milk to the temple, but many devotees take the sacrifice far further. They pierce the skin on their backs with hooks from which they hang bottles of milk and some pull large carts by means of hooks attached to their bodies. 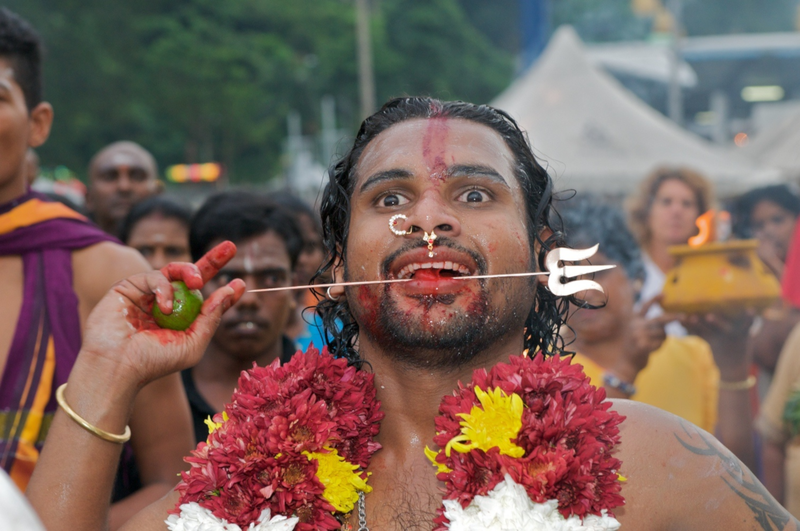 Many also pierce their tongues and cheeks with skewers, reminders of the spear which Parvati gave to her son. 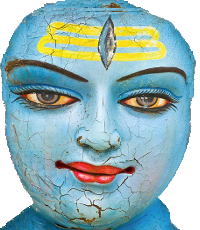 To withstand the pain, the devotees engage in all sorts of mind-altering activities – fasting, praying, chanting and drumming. In order to recuperate once the hooks and skewers have been removed, they rub their wounds with holy ash. Today ambulances are on standby during the ceremony, but remarkably few devotees need medical attention. The kavadi aattam is an endurance test by which the devotees demonstrate the power of their faith. Not surprisingly the most demanding feats attract mainly young men, and you do not necessarily have to be a Tamil in order to participate. During Thaipusam celebrations in the diaspora Tamil community in the United States, devotees undertake long walks on foot, carrying pots of milk, but no piercing or skewering is involved.